EOS (EOS) operates on its own blockchain. The total supply of EOS that will ever be issued is 1.04 Billion coins, and the current supply of EOS in circulation is 943.08 Million coins. Current EOS price is $ 4.80 moved down to -1.79% for the last 24 hours. All time high (ATH) price of EOS reached $ 23.01 on 29th Apr 2018 and fallen -79.1% from it. EOS's share of the entire cryptocurrency market is 2.48% with the market capitalization of $ 4.53 Billion. EOS’s 24 trading volume is $ 2.12 Billion. It is trading on 150 markets and 47 Exchanges . Find more details about EOS cryptocurrency at the official website and on the block explorer. EOS price Index provides the latest EOS price in US Dollars, BTC and ETH using an average from the world's leading crypto exchanges. The EOS to USD chart is designed for users to instantly see the changes that occur on the market and predicts what will come next. EOS is a dynamic blockchain infrastructure for the development of decentralized applications (DApps), similar to Ethereum in function - which was the first of the smart contract projects. EOS promised to combine all-together the best features and aspects of various technologies allowing deployment of smart contracts (e.g. security of Bitcoin, computing support of Ethereum) in one simple to use, massively scalable platform addressed to everyday users. Its vision is to build a blockchain protocol that can process smoothly and securely thousands of transactions per second while being accessible and easily customizable for developers, entrepreneurs, and final users. It provides a complete operating system for decentralized applications focused on the web with services like user authentication, cloud storage, and server hosting. The EOS token itself was not designed to perform any function. It’s only a useful asset for developers who want to deploy applications on the EOS platform. In such case-studies EOS tokens are used to represent voting rights or fees for provided utility. Each application’s acceptance on the platform is contingent on voting by EOS token holders. The EOS project is created by a corporation named Block.one, led by Dan Larimer (co-founder of both Bitshares and Steemit) and Brendan Bloomer. Both founders have tremendous experience in the crypto world and have been publicly active in promoting blockchain adaptation, independent of their own projects. 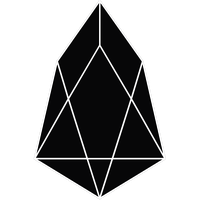 EOS Dawn 1.0 was released back on September 14, 2017, the Dawn 2.0 release brought resource tracking and inter-blockchain communication on December 4, 2017, and the Dawn 3.0 release (the project’s official launch) occurred in April 2018.